A Petition has been launched under the auspices of the British parliament calling for the arrest of Israeli Prime Minister Benjamin Netanyahu upon his official state visit to the United Kingdom scheduled for September. The petition procedure under the auspices of the British parliament requires the government to respond to petitions which have more than 10,000 signatures. When it has more than 100,000 signatures it is referred for debate in the House of Commons. At the time of writing, the petition has more than 74, 000 signatures. “A major part of international humanitarian law is contained in the four Geneva Conventions of 1949. … The Conventions have been developed and supplemented by two further agreements: the Additional Protocols of 1977 relating to the protection of victims of armed conflicts. Also of relevance is Article 38 of the Convention on the Rights of the Child, ratified and violated by Israel. 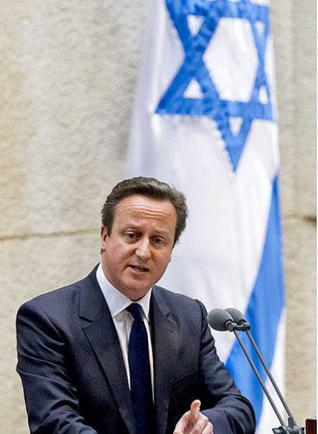 Prime Minister Cameron acknowledges the so-called “terrible toll”, a rather ambiguous term which in relation to Gaza (in plain English) consisted in deliberate acts of killing and destruction directed against civilians. But then Cameron casually accuses the victims. “Saddened by the violence” ordered and instigated by Netanyahu, who was, according to Cameron is rightfully “defending Israel” within the “boundaries of international humanitarian law”. The Petition will soon be reaching 100,000 signatures. Will parliament accept to debate the issue? Whatever the outcome, my advice to Netanyahu, think twice before coming to London.